Since that'll be coming in about half an hour, any thoughts/idea/hopes for it? This small egg feels soft and squishy. Your egg has hatched into a tiny lively creature. It seems eager to explore the world around it, making cheerful chirping noises while it wanders around. The hatchling seems to grow very rapidly as if being energized by any new things it encounters. It seems really fascinated about glasses of water and can entertain itself for hours by plunging into them and trying to catch any appearing bubbles. You thought your perlua hatchling was growing bu now you're now so sure any more. It should be all grown up, and it certainly has all the features of an adult perlua, but it's much smaller. Yet on another glance it it much bigger. On both times the perlua looks at you with a cheery atmosphere surrounding it. 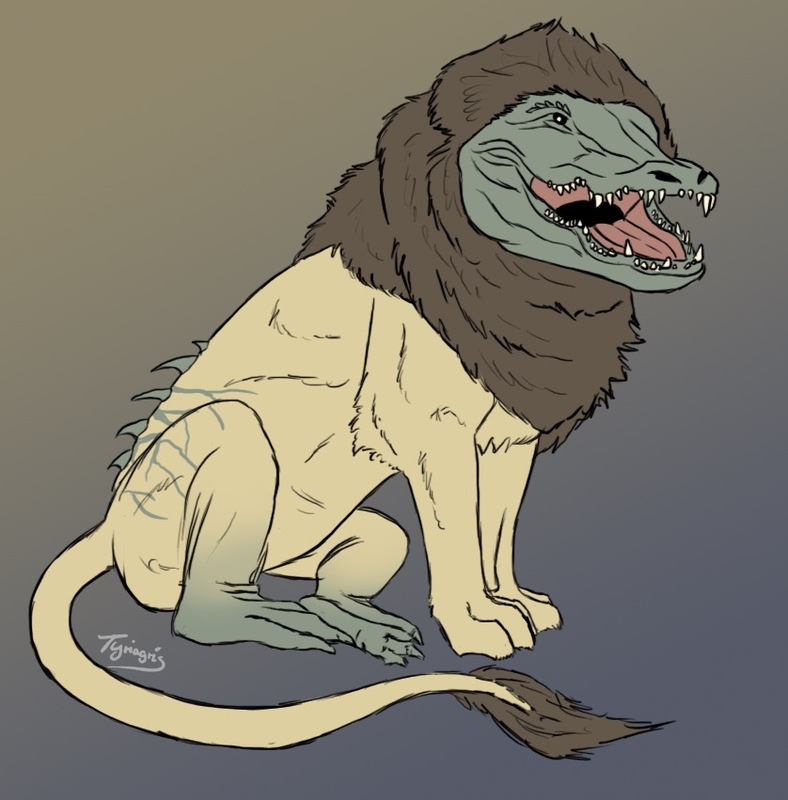 The soft, almost feathery like, scales on your perlua's back vibrate with the creature's soft humming, and the golden tendrils pulse slightly and warmly against your skin as the creature, now small and chubby like a cat uses them to help it climb onto your lap. The perlua is a curiosity among magis. No-one has been able to determine the real size of them as they seem to be constantly shifting, taking on the size that best fits the occasion. Sometimes they appear no bigger than the tip of one's finger while some tales tell of perluas that near a man in height. Scholars have debated for ages whether perluas can actually transform to different sizes or if they actually just use highly effective illusory magic. Studies have been conducted with people trying to brew potions or mimic a perlua's abilities but every ingredient gotten from these creatures seems to lose any power it has if tried to experiment on. Last edited by BBkat on April 16th, 2019, 4:52:37 pm, edited 6 times in total. Ooo, something that has to do with plants I hope I’d love something green and leafy. I have no idea what it is, but it's cute.